Spread the cost from only £173.13 a month with Interest Free Credit. 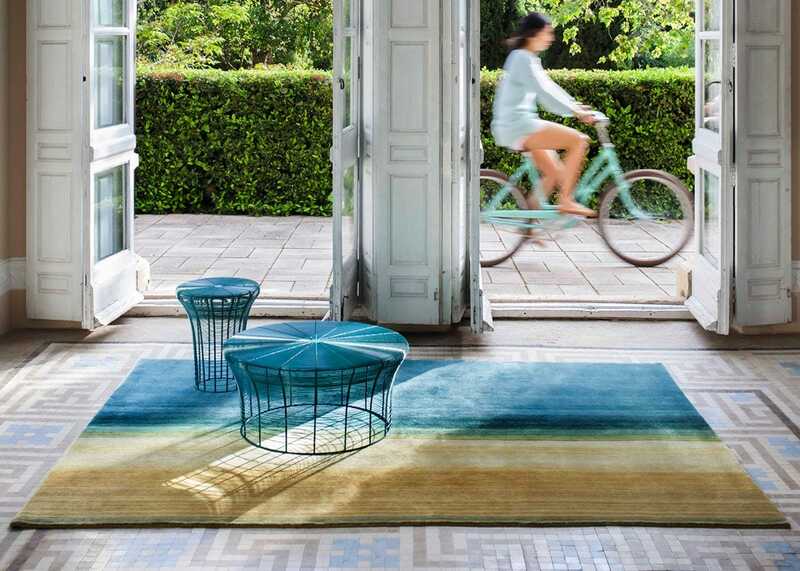 Take a piece of the Mediterranean into your home with this Gandia Blasco rug designed by Sebastien Cordoleani. 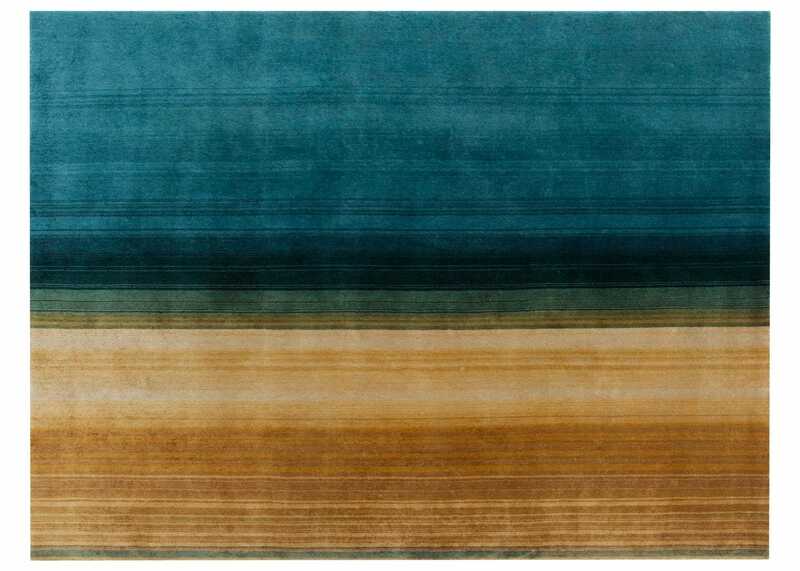 Inspired by the horizon where the sea meets a golden sun, this rug features beautifully vivid colours in stripes to mimic a rich turquoise sea and a bright sun in midday. 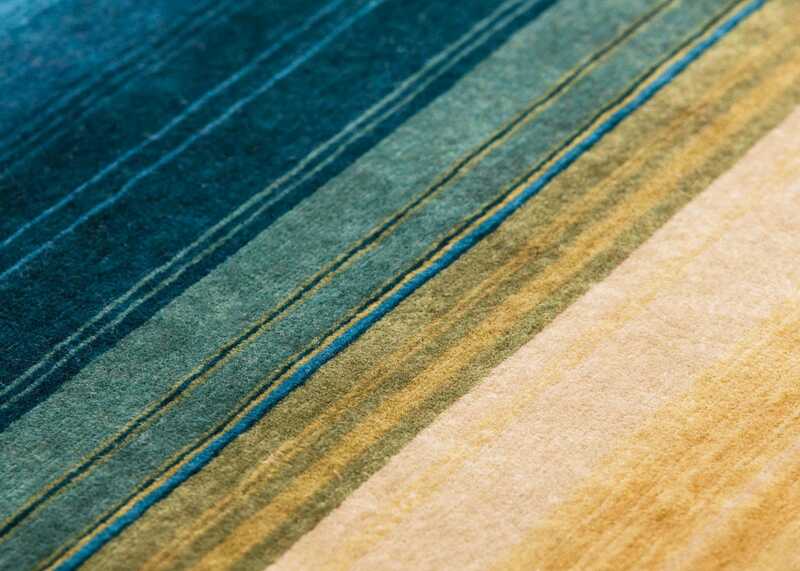 Made entirely by hand on a vertical loom, hand-knotted by expert crafts men and women.